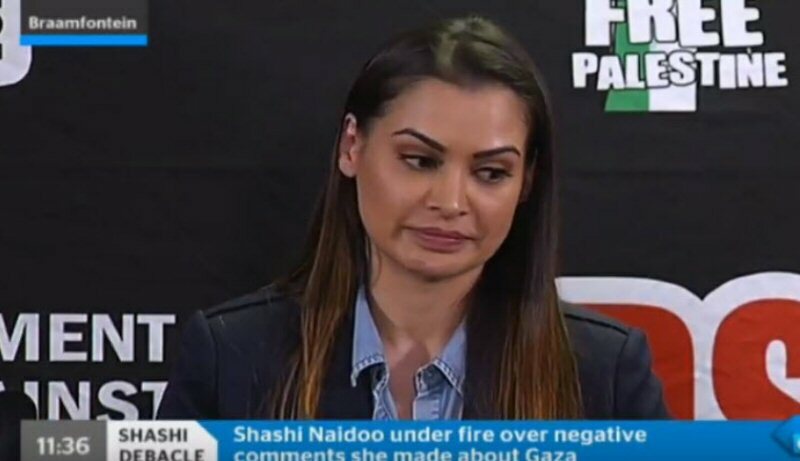 Model and social media influencer Shashi Naidoo says she will go on a “fact-finding” mission, to Palestine, after receiving backlash for referring to Gaza as a “shithole” in a viral Instagram comment. She has confirmed that she and her mother would pay for the trip. She claims, according to Days of Palestine, that her comments in the debate were copied and pasted from a friend. The model apologized on Instagram, saying she is not politically educated. In a video apology which also garnered criticism, a tearful Naidoo said she has received death threats. She has since admitted the apology was copied and pasted from a friend who wrote it on WhatsApp. Representatives from BDS-SA met with Naidoo at her request on Tuesday. During the engagement, Naidoo apologized for her actions, agreeing to visit the Middle Eastern country with an itinerary prepared by the South African Council of Churches. “I also want [people] to know that this in no way means I’m radicalizing myself to one side or radicalizing myself to another, because this entire debate has become a political debate and you almost feel caught up in the middle,” Naidoo explained, in a joint press conference with BDS-SA, which was held on Wednesday. On Wednesday, she said that the comments she posted during the debate were not her own words and she regrets her mistakes on the issue. Some of Naidoo’s sponsors — such as Glam Palm and Lil Jewels — have severed ties with her. The model said that her loss of endorsement deals was necessary and that the opportunity to re-educate herself has now been created.